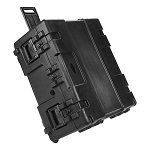 You are all familiar with the SL10 SnapLab and this successor model has the same easy and intuitive workflow. 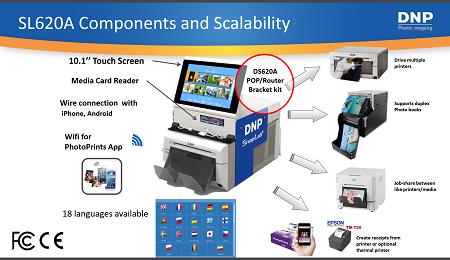 The DP-SL620A SNAPLAB+ is a compact kiosk system that combines the DS620A printer, The DS-Tmini order terminal and a software within a single Dye-sublimation compact kiosk system -- no computer needed! It is a winning formula to turbo charge your photo business! The DP-SL620A offers a variety of photo finishing formats, ranging from standard prints, ID and themed frames available. By adding the optional DNP’s DS80 or DS80DX printer, the value added products such as photo books can be also offered to generate more sales in a printing business. 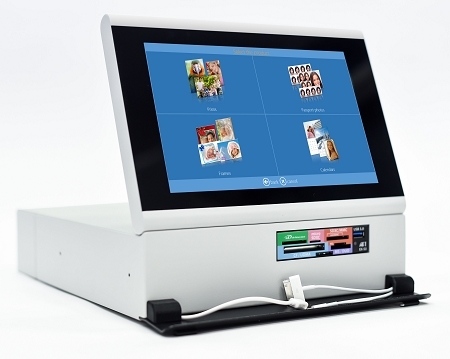 The DP-SL620 has all you need for staring a photo print business. Print sizes range from 3.5x5" to 6x8" in glossy or matte finish which provides a broad array of deliverables, and each print has the same superior quality finish you have come to expect with the DNP brand. The SL620A also comes with the 3-year AE warranty* in the box at NO COST, and the DS-Tmini offers a one-year manufacturer warranty*.